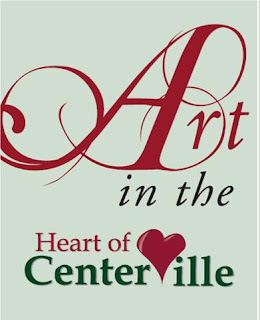 I will be exhibiting in the Art in the Heart of Centerville this Saturday from 3 - 8 pm. I will in the parking lot behind Salon One in the center of town. There will also be music and kid's activities. In my booth, I will have my fused glass pendants with the designs inside. I am also making fun collages in soldered glass pendants that I hope will be done by Saturday. I do hope the weather cooperates! The Art in the Heart runs the last Saturday of the month in June through September. Sounds like fun! Grab an ice cream cone from Graeters, look at the art and listen to the music!